Jay's Musik Blog: Happy November! 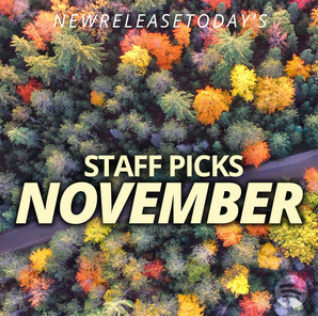 Each month, the staff at New Release Today hand-picks a Spotify playlist of their current favorite songs. As a staff reviewer, several of my favorites are also included in this playlist, which features excellent songs by Jordan Feliz, Bethel Music, for King & Country, RED, John Elefante, and more. Check out that Spotify playlist by heading here! And in case you were wondering, my staff picks were "Reckless Love" (Cory Asbury), "Shepherd of My Soul" (Kutless), "He Always Wins" (Matt Hammitt), and "Always Faithful" (Ashes Remain). Enjoy the playlist!